Telesys Voice and Data has been serving the Richland Hills area since 1994, providing IT Support such as technical helpdesk support, computer support, and consulting to small and medium-sized businesses. Technology management has always been a problem for small businesses. Whether it’s a matter of affording proper technology maintenance or not having enough time in the workday to get around to maintenance, it’s likely that your small business has to manage limited resources that make it difficult at best to make preventative maintenance occur. We’re here to tell you that there’s a better way to get the IT help you need. Think about the way that businesses went about IT assistance in the past. Finding professional IT resources isn’t always your first instinct. In fact, the first thought you might have is that as long as your technology is working, you have nothing to worry about; you’ll cross that bridge when you get there. The problem is that technology management and maintenance will always be a problem for your business if you don’t take steps toward this goal right from the beginning. The traditional method of IT maintenance is what we in the industry call “break-fix.” Break-fix IT management is when a company seeks out the assistance of IT professionals when their technology fails to operate as intended rather than actively seeking to keep it in proper working order. While this might seem like the proper course of action (after all, who wants to pay for services they don’t need at the moment? ), this creates a dilemma for your company. You might be saving money in the short term, but you’re also drastically losing money in the short term whenever you experience technology troubles. In other words, since you’re waiting for your technology to break down before addressing issues with it, you’re experiencing downtime that could have been prevented earlier on. 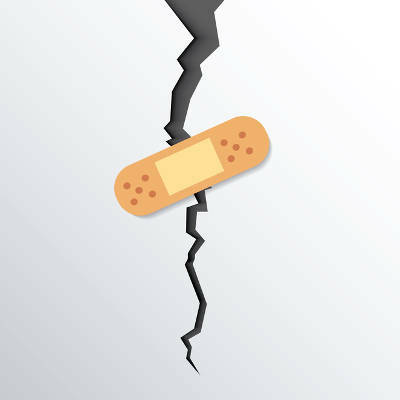 The alternative to break-fix IT--managed IT--is perhaps the greatest way your organization can save money on IT maintenance and management. Managed IT turns the capital expense of maintaining your technology and transforms it into an operational expense. What was a significant hit to your budget at any given time is instead a more manageable monthly payment that can be stopped or scaled as needed. It’s an easy and convenient way to manage your technology. Telesys Voice and Data can help your business get started with managed IT services. To learn more, reach out to us at (800) 588-4430.